The following article I wrote from the perspective of being a therapist as I predominantly train people to work in the field of EFT. I do also work with many people in my private therapy practice. If you have come to this article because you have been on the receiving end of bullying, the points I cover here are still relevant. You can use the information to help you deal with the traumas and emotions you hold around the bullying. EFT is a powerful tool, but you still need to know how to target it in order to get great results. The points I raise below identify some of the areas you need to deal with in order to free yourself from the impact of the bullying. Just because time has moved on does not mean that you automatically let go of what has happened in the past. Recently someone in my huge extended family revealed they had been bullied for two years. This revelation explained so many things about how they had been behaving. 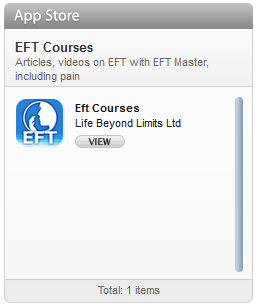 Of course, once out in the open it is something that can be dealt with using EFT. Bullying is rife through society, from the playground to the workplace. Because it is such a common problem, I felt inspired to write a blog post about the subject. There is no doubt that bullying can have a devastating effect on those at the receiving end of it. Over time, I have worked with countless people with many different problems, ranging from ME, public speaking fear, eating disorders, weight problems, etc. The underlying causes of many of their issues traced back to bullying incidents that often occurred at school when they were children. It is important when dealing with a bullying issue, as a therapist, to know what, you are looking to help the person achieve. I always have the idea firmly in my mind that I am helping them “win” the situation. What is “winning” the situation? To me, it is coming out of this situation mentally stronger! So, How Can We Mentally Win? We mentally win when we are at peace about what has happened. We feel good, regardless. And we can behave in an appropriate way that befits the situation. Being angry and wanting revenge to me isn’t winning! Simply because if you have strong emotions about the situation that happened, it shows you are still affected by it. It is still triggering you! Of course, if you initially felt deflated and helpless around what happened, feeling angry is more empowering, but feeling at peace, and good inside is the ultimate win. 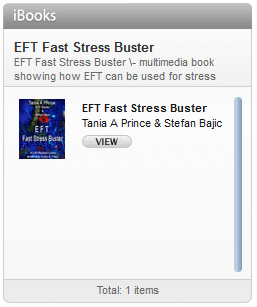 There are many techniques within EFT that can be used to help clients resolve their issues. 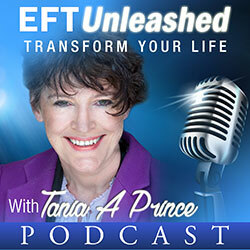 One of my favourites is conversational EFT. The beauty of this approach is that it can be very gentle. It can also be very powerful when it comes to shifting a client’s perspective on the issue. Powerful Reframes can be delivered with grace, effortlessly in a conversational setting. Identifying any emotional triggers is also useful. It is important that people do not have control over you (your client) by being able to push your triggers. 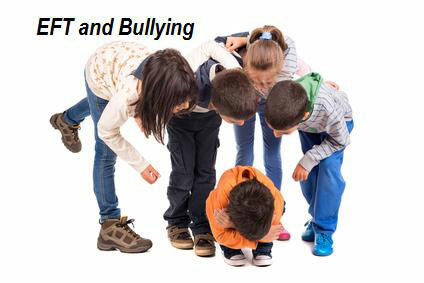 Identifying and tapping on the triggers that are being exploited by the bully is important. The goal we are looking to achieve here is to take the power out of the trigger. As a consequence of taking the power out of the trigger, if a similar situation were to arise again the client would no longer automatically react to the situation. They would no longer have the original dis-empowering response. Instead, the client would be able to deal with this situation in a more empowered way, appropriate to the situation. A friend of mine was passing a group of rowdy young boys. As he did so, one of the youths shouted, “Look at the bald headed old coot!” They were waiting for a reaction obviously wanting to intimidate him. My friend stopped, turned to face them and said, “Mr bald headed old coot to you!”. He said, in mock anger, with a slight smirk on his face. Taken aback by his quick-witted response they started to smile and within minutes were having a laugh with him in a friendly banter situation. The reason my friend could respond so well is that the situation did not trigger him. He stayed empowered and was able to use his natural gift of humour to diffuse the situation. Of course, there are various ways of dealing with this type of belief, one would be just tapping on the belief itself using EFT. Another would be to go into conversational EFT tapping and ask, “what would have happened if you had had stood up for yourself?”. It can be very enlightening to hear a response to such questions. Of course, the response can also reveal deeper limiting beliefs, in which case you can now tap to remove them. Thinking of yourself as a “victim” can be dis-empowering. If this is present, it is important to tap this out until there is a new perception of the situation, one that helps the client (or you) feel good about themselves (yourself). The emotion of anger, in my opinion, needs to be gone. It is important that you clear it by using EFT tapping. Holding onto anger can be a highly damaging to the health. Letting go of anger doesn’t mean to say what happened was right, all it really means is, “you deserve to feel good”. Some people don’t want to let go of anger, in which case it is worthwhile to explore the reasons. Then you can use EFT to remove the blocks to letting go of the anger. There is obviously much more I could say here about bullying but, as a busy mum and therapist, EFT trainer I have to go spoil my daughter and be her chauffeur!!!!! !